Events are once again moving fast in Haiti—Prime Minister Jean-Henry Céant has been removed from office and new corruption allegations have come to light implicating President Jovenel Moïse in a plot to redirect government funds to a private account. Now new protests have been called in opposition to Moïse and the government. Where will Haiti’s uprising go from here? After only six months in office, Haiti’s Prime Minister Jean-Henry Céant has been removed from office by the Lower Chamber of Deputies. On March 19, the Lower Chamber voted overwhelmingly, 93-6, to remove Céant and his government from power, citing his failure to address the country’s economic crisis, his contentious relationship with President Jovenel Moïse and his mishandling of Haiti’s recent waves of protests. Céant is Haiti’s second prime minister to leave office in less than a year. Céant replaced Jack Guy Lafontant last September when Lafontant resigned after Haitians staged massive protests in opposition to a steep increase in fuel prices. Similarly, Céant’s ouster is not unrelated to the waves of protest that have continued to sweep Haiti over the past eight months; it is likely an attempt by Moïse and his supporters to deflect public outrage from the president as he tries to regain control despite calls for his resignation. Yet it appears that Céant’s expulsion from the government is less a concession to protesters than a targeted move to get rid of political opposition and obfuscate President Moïse’s corruption. Céant and Moïse have been butting heads since Céant came into office in September, fighting over both the allocation of funds to social programs and their responses to the protests rocking the country. 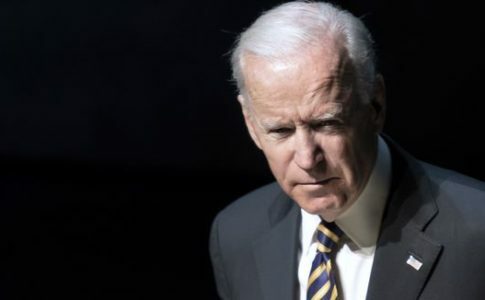 As the Intercept reported this week, their political jockeying came to a head when Moïse planned to move $80 million in government oil funds to a private account that would be accessible only by the president himself. According to the report, a business partner of Moïse hired five mercenaries from the United States to accompany one of the president’s aides to a central bank to transfer money into a separate account. The heavily armed mercenaries were caught and detained by police before being released back to the United States without a trial. The mercenaries’ presence and arrests were widely publicized at the time, stoking outrage at U.S. imperialist interventions in Haiti and reenergizing the protests paralyzing the country’s major cities. Now that the president’s involvement in the scheme has been unearthed, new protests have broken out in Port-au-Prince to demand Moïse’s resignation. In light of Moïse’s failed attempt to keep government funds out of Céant’s hands, the prime minister’s subsequent expulsion from the government comes as no surprise. His removal signals a flailing administration struggling to consolidate its power and prevent further unrest while failing to address the issues motivating Haiti’s protests: high levels of national debt, poverty and corruption. A neoliberal politician at heart, Céant was surely no friend to the Haitian people, but by dismissing the prime minister, Moïse and his supporters are preventing $100 million in government funds and aid from being dispersed across the country. As Haiti’s elites vie for power, workers and the unemployed continue to suffer in the face of extreme inflation, disease and austerity measures. Now, for the fourth time in eight months, they are taking to the streets to protest these conditions. The protests rocking Haiti began in July 2018 when cuts in government subsidies led to a spike in gas prices. The cuts came at the demand of the IMF, which agreed to loan Haiti $96 million on the condition that it sell fuel at market prices. As a result, gas prices rose to $5 per liter, an outrageous amount in a country where 60% of the population survives on $2.41 a day. 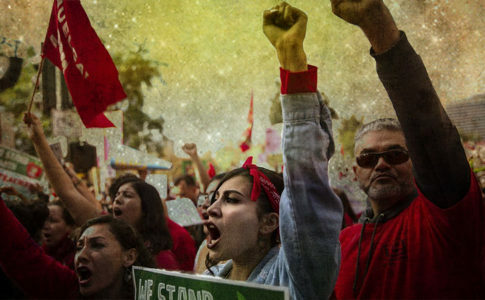 Anger at the government’s penalizing of workers and their families for an economic crisis caused by corruption and foreign meddling led to massive mobilizations around the country. It began as a strike by minibus drivers and taxi drivers and culminated in protests of hundreds of thousands of people that shut down the capital city. Within a week of these protests and riots, the government agreed to suspend the fuel hike, and shortly after, Prime Minister Jack Guy Lafontant resigned from his position. Less than a month later, new protests broke out, prompted by the #PetrocaribeChallenge social media campaign. The hashtag refers to the PetroCaribe Alliance deal that Haiti signed with Venezuela in 2007. As a way of making allies in the region, Venezuelan President Hugo Chávez and his successor, Nicolás Maduro, sold Haiti oil at discounted prices with low interest rates. Haiti was meant to use these funds to rebuild its social programs and encourage economic development, but these initiatives never came to fruition, even under three different administrations. In 2018 the PetroCaribe deal ended altogether as U.S. sanctions and the economic crisis in Venezuela prevented the country from continuing to supply Haiti with discounted oil; in turn, Haiti could not pay the increased prices and had to look elsewhere for fuel—primarily to U.S. oil companies. The Haitian people never saw the benefits of the deal with Venezuela even though Haiti’s ongoing humanitarian crisis—which leaves 6 million of the country’s 10.5 million citizens at or below the poverty line—has only worsened over the years. Activists took to Twitter and WhatsApp to demand that President Moïse’s administration account for the disappearance of billions of dollars in foreign aid. Protesters soon took this demand to the streets and denounced the government’s misappropriation of more than $2 billion from the PetroCaribe deal. Hundreds of thousands of people protested in Port-au-Prince and other cities, resulting in deadly police repression and few concessions from the Moïse government. The protesters effectively paralyzed Haiti’s major cities for weeks, demanding transparency from an administration notorious for its corruption, voter fraud and incompetence since taking power in 2016. The recent February protests were a continuation and expansion of this uprising in Haiti, calling specifically for President Moïse’s resignation and an end to the long reign of foreign agendas in the country. Building on previous mobilizations, the simmering unrest boiled over once again after Moïse, with the support of President Trump, officially declared Maduro’s presidency illegitimate. This contradicted the sentiment of most Haitians, many of whom are fed up with U.S. interventionism in Latin America and the Caribbean. Protesters once again shut down Haiti’s largest cities, forcing schools, banks and shops to close as people flooded city streets. They clashed with police and UN military forces, who responded with tear gas and live ammunition. The third onslaught of protests in early February brought hundreds of thousands of Haitians into the streets each day for three weeks and left at least 26 dead and 77 wounded at the hands of the police and military. The weeks of mobilizations led the government to make symbolic concessions, which so far have proved ineffectual. Refusing to step down, Moïse initiated the formation of a “National Inter-Haitian Dialogue,” much like that proposed by President Emmanuel Macron in France in response to the Gilet Jaunes protests. Those involved in the protests have rejected this proposal, recognizing that more than empty talk is necessary to address the economic situation facing millions of Haitians. In a more substantial concession, Céant’s government began to implement nine emergency measures to address the economic crisis in Haiti, including revoking the special privileges of senior state officials, such as discounts on fuel and paid travel expenses. 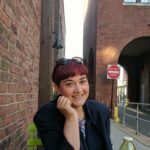 Now that Céant has left office, however, it is unclear whether these measures will be put into effect. These gestures by Haiti’s ruling elite cannot even begin to correct the economic crisis tearing Haiti apart. Inflation is estimated to have reached 15.1%. Sixty percent of Haiti’s 10.5 million people live in poverty while prices for basic necessities like food and water soar; it is estimated that 50% of Haiti’s population is undernourished. Moreover, Haiti never fully recovered from the devastating earthquake in 2010, which decimated the country’s infrastructure and killed 100,000 people. At least 40,000 Haitians are still living in the makeshift camps that housed people displaced by the earthquake. Meanwhile, the UN “peacekeeping” forces that moved in after the earthquake continue to occupy the country and have left little but destruction in their wake. They are responsible for introducing cholera into Haiti, which killed more than 9,000 people. Over a hundred sexual-abuse allegations have been brought against the peacekeepers over the last decade. Now what is left of the UN military forces are helping the Haitian police repress the mobilizations, killing protesters. Although the protests have been centered on challenging Haiti’s ruling elite, anti-imperialist sentiment has begun to play a more significant role in the protesters’ demands. It cannot be overlooked that the economic and social conditions that have brought about this most recent period of crisis and mobilizations in Haiti are in no small part due to U.S. and European imperialist ambitions in the country. From military occupations prolonged for decades to the orchestration of two back-to-back coups, the United States has blatantly forced its agenda on Haiti and left Haitians to suffer the consequences. While a full discussion of this history is beyond the scope of this article (for a more in-depth look at U.S. imperialism in Haiti, see this article), one does not have to look beyond the last year to see that the imperialist power is responsible for the dire situation in Haiti today. Even now the United States is capitalizing on the unrest in Haiti to solidify its influence in the Caribbean, digging its claws into a country strategically located close to Venezuela and Cuba. Along with the international organizations of the UN and the IMF, the United States and other countries have offered “aid” to Haiti for years, supposedly to help stabilize the country in the aftermath of the earthquake. This “aid” has never been anything more than high-interest loans meant to keep Haiti in debt and in the back pocket of larger imperial forces. As a result, the national debt skyrocketed, dramatically devaluing the gourde and setting off a reactionary set of austerity measures that have only worsened living conditions for most Haitians. The United States brought about and subsequently capitalized on the end of the Petrocaribe alliance between Haiti and Venezuela, stepping in to sell Haiti oil at exorbitant prices when Venezuela could no longer afford to sell it. Just this month, while the protests and subsequent repression in Haiti left millions of people without access to fuel, water and basic necessities, the United States decried the violence of the protests while refusing to supply Haitians with much-needed oil. A tanker full of U.S.-owned oil sat off the coast of Port-au-Prince for weeks as Haitians lived without access to power because Haiti could not afford to pay for it. But the United States’ intervention extends beyond economic policies to direct political interference as it tries to gain influence in the region. It is no coincidence that the United States has increased its involvement in Haiti’s affairs just as it openly advocates for a coup in Venezuela. The United States is now using Haiti as a pawn in its campaign for Venezuelan oil. In the last few weeks, several members of the U.S. government have traveled to Haiti to advise the government on how to address the unrest rocking the country in a way that benefits the United States. First, David Hale, the under secretary of state for political affairs, met with Moïse and other government officials to discuss how to address the economic and social crisis. Just this week, Sen. Marco Rubio flew to Haiti and spoke with government officials, including Moïse, about choosing a new prime minister and reshaping the government in light of the recent uprisings. Furthermore, the Trump administration continues to support the Moïse regime while working to undermine democracy in Venezuela. 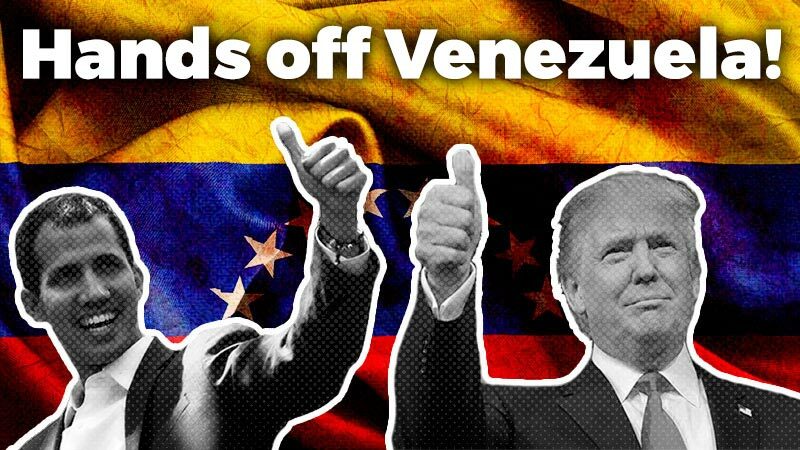 Just this weekend, Trump met with Moïse and five other leaders in the region and promised them significant U.S.-backed private investments in their economies if they continued to support Venezuelan coup leader Juan Guaidó’s claim to the presidency in Venezuela. The United States is doing everything it can to gain a foothold in the region as it reinvigorates its imperialist ambitions. Democrats and Republicans alike decry the undemocratic nature of Venezuela’s latest presidential elections but have nothing to say about the last elections in Haiti, which brought Moïse to power; only 24% of Haitians voted in that election, which was characterized by voter fraud and widespread reports of discarding ballots. While Haitians realize the deeply undemocratic nature of these elections and rise up to challenge them, the United States and other imperialist powers urge the protesters to have faith in the ballot box and advise the government to implement further austerity measures. Despite the pro-democracy rhetoric fueling U.S. interventions around the world, it is evident that the United States is happy to support anti-democratic regimes in one country if it means securing its economic interests in another. What will happen next in Haiti depends in many ways on the slow, U.S.-backed coup unfolding in Venezuela. As socialists, we must denounce in the strongest terms the United States’ economic and political interference in Haiti and support the Haitian people as they continue to struggle against the imperialist forces in their country. 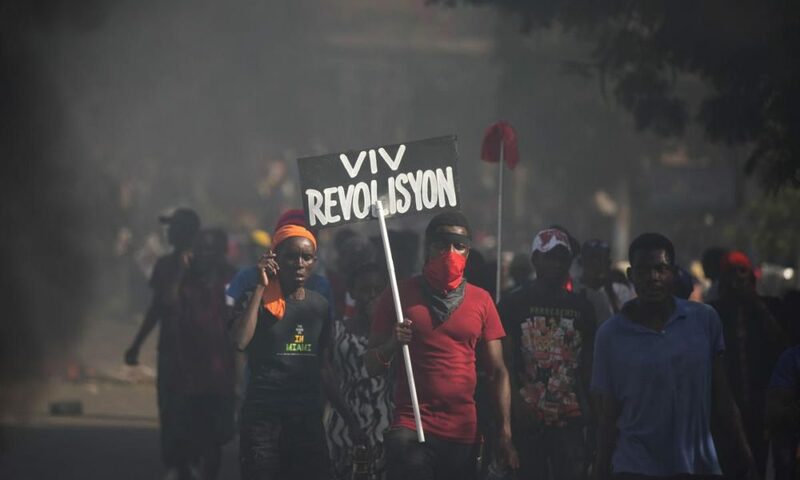 Each new wave of mobilizations in Haiti grows in size and scope; each time protesters have taken to the streets, they have asserted more expansive demands and critiques of the policies and systems that have entrenched the majority of the country’s population in poverty. What began as a protest against a fuel hike has since developed into a demand for the resignation of top officials in the government and a challenge to corruption and U.S. imperialism. If the last eight months are any indication, Haitians are in the midst of confronting deep political and social contradictions, and the economic situation of millions of Haitians makes it impossible to accept the state’s lukewarm neoliberal reforms. Indeed, each new round of mobilizations makes it clearer that the dire conditions in Haiti can be addressed only by a complete upheaval of the current system and by disrupting the long history of U.S. imperialist policies in the region. However, like the early days of the Gilet Jaunes protests in France, Haiti’s broadly anti-government protests have largely coalesced as spontaneous uprisings without clear leadership, program and a clear alignment with the right or left. Haiti’s small but vocal left has attempted to direct the protests to more revolutionary and anti-imperialist conclusions, but they are up against significant challenges. Several politicians who hope to challenge Moïse in the 2021 presidential elections have attempted to co-opt the mobilizations for their own political gain; it does not appear, however, that the hundreds of thousands of protesters have gotten behind any single political figure. The protests remain largely directed by a mass movement of Haitians, united by a loose configuration of demands. Yet the first protests in July began with a drivers’ strike; it soon developed into a massive movement of hundreds of thousands of Haitians around the country. 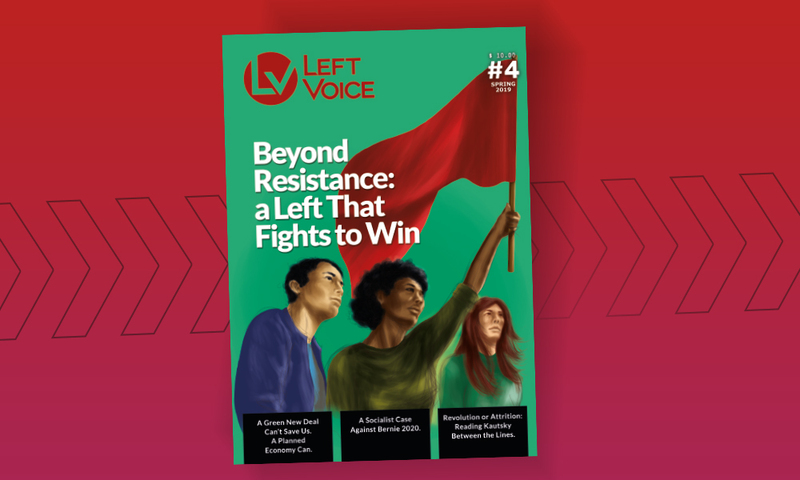 The newest round of mobilizations currently brewing in Haiti opens the opportunity for workers and the left to take a more constructive role, uniting with the most oppressed in Haiti to challenge the ruling elite and imperialist hegemony.